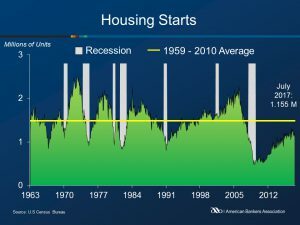 Housing starts decreased to a seasonally adjusted annual rate of 1.155 million in July, according to the U.S. Department of Commerce. The decline was 4.8% below the revised June rate of 1.213 million and is 5.6% below the July 2016 rate. Housing activity decreased in three of the four regions with only the South showing growth, increasing 0.6%. The Northeast and Midwest both saw large declines after a strong June report, falling 15.7% and 15.2%, respectively. 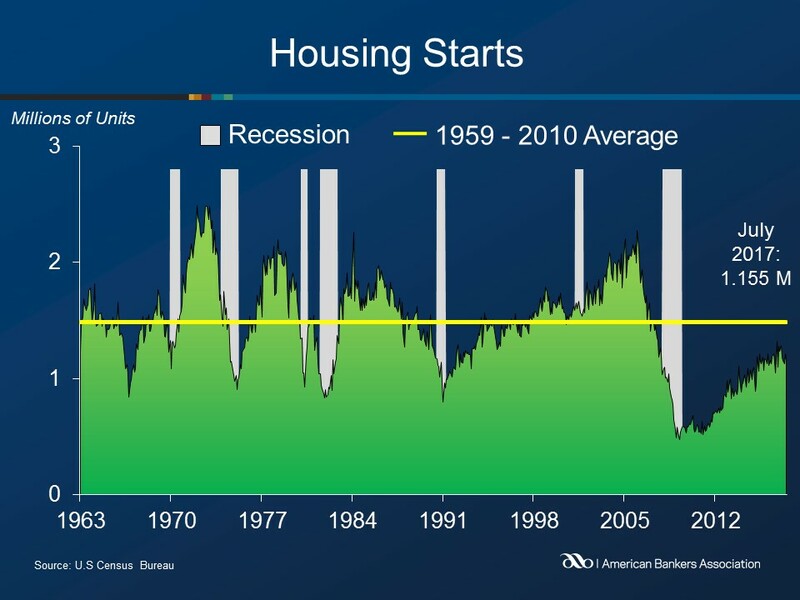 The West fell at a slower rate as housing activity decreased 1.6%. New building permits decreased during the month, falling 4.1% to 1.223 million. However, permits were up 4.1% from the July 2016 rate. Housing completions were at a seasonally adjusted annual rate of 1.175 million, down 6.2% from the revised June estimate but 8.2% above the July 2016 rate.